A conservation agreement is a contract between a landowner and conservation organization like the Nature Conservancy of Canada (NCC). The landowner agrees to limit some uses of a piece of land to protect its natural features and the species that live there. In return, the landowner is paid or receipted for placing the agreement on their land. NCC monitors the land in question to ensure the agreement is being respected. Can continue to own and use their land. Can sell it or pass it on to heirs. Do not have to sell or donate the property to a conservation organization. They receive a financial benefit. Why would NCC want to protect my land? Conservation agreements are used for many reasons. Some protect wetlands, forests, prairies and other habitats. Others protect rare plants and animals. What will I have to do if I sign an agreement? A conservation agreement limits, or restricts mutually agreed to activities on the land. Each agreement is different. Each one is created to fit the specific property and its special features, as well as the wishes of the landowner. How are the restrictions developed? 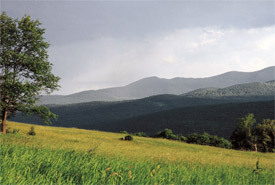 NCC, in consultation with the landowner, determines the conservation targets (i.e. the conservation values they wish to protect) and develops restrictions to prevent activities that could negatively impact those values. For example: if the purpose of the agreement is to protect a large tract of forest, the restrictions may be developed to prevent subdivision of the property and/or remove certain native vegetation species. How much of my property does the agreement cover? The agreement covers the whole property. The restrictions may cover the whole property or a smaller area. How long does a conservation agreement last? Conservation agreements are permanent. They do not expire. This ensures that your land is protected for the long-term. How does NCC make sure that landowners comply with the agreement? Landowners must comply with all the terms of their conservation agreements. NCC regularly monitors every term of every agreement. We check for unauthorized changes in protected lands. We also work with landowners to make sure they understand how any future actions they are considering may affect their conservation agreements. Interested in placing a conservation agreement on your land? Follow the related links to the left of this page for more information on gifts of land, conservation agreements and Ecogifts. For more information on donating land or conservation agreements, please contact the NCC Regional office near you. Due to limited resources, we must assess and prioritize potential land/conservation agreement donations to ensure that they fit within our programs and science-based priorities. Note: The information on this website is general in nature and does not constitute legal or financial advice. As tax laws are constantly changing, we strongly urge you to seek professional legal, estate planning and financial advice before deciding on a course of action.